These 15 panels are simple yet very effective. 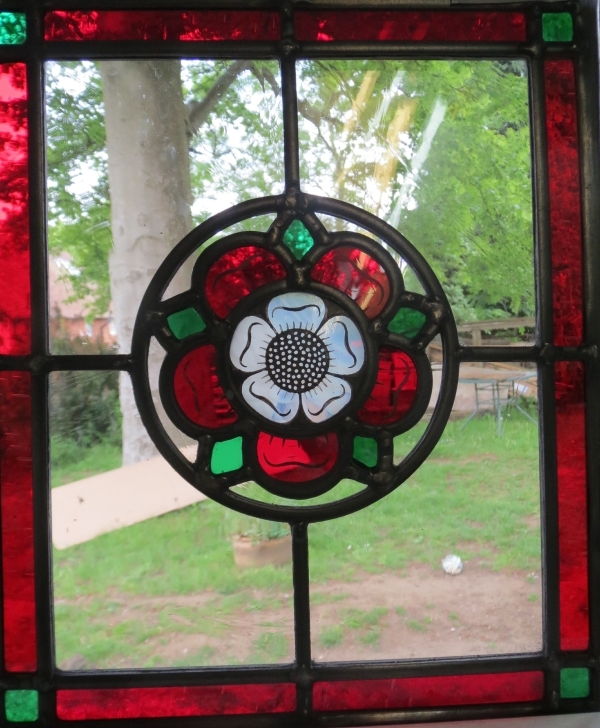 A bold ruby red border glass is matched with reamy antique clear glass to really make these windows sparkle and shine. 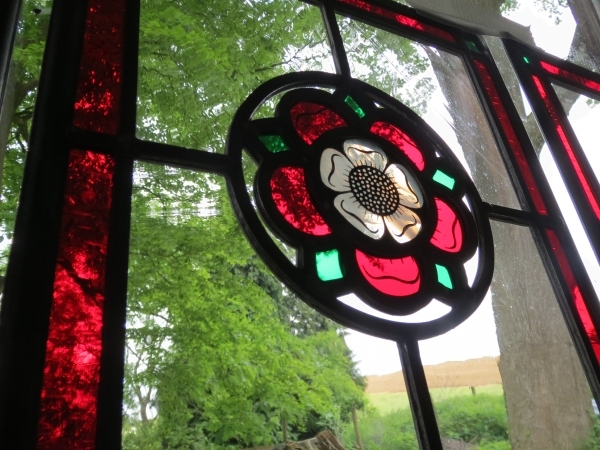 My customers wanted to keep the view into their hall so this glass is perfect. 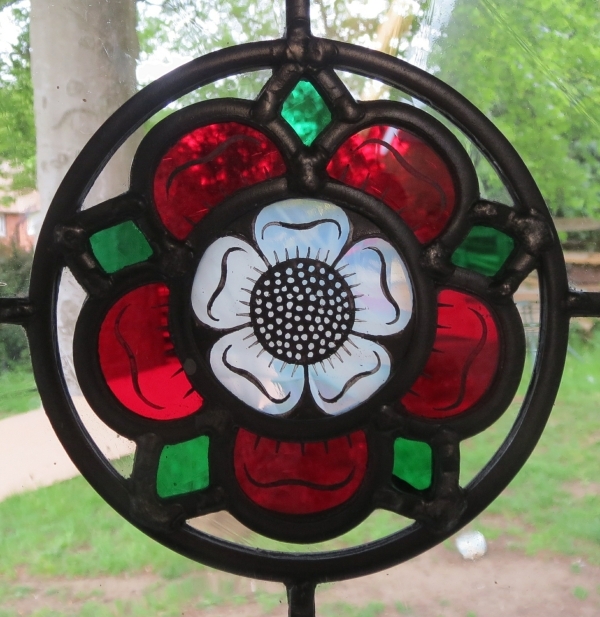 The roses were hand painted and fired in the kiln. 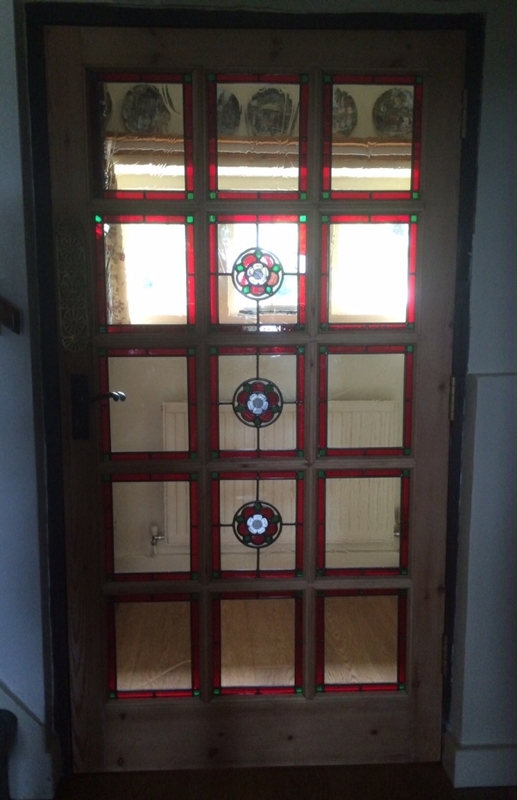 I supplied these to my customer who fitted them himself.